Think you can multi-task while driving and it won’t affect your performance? Think again. Brain researchers say it’s a terrible idea, even with a hands-free device. But just how terrible? Researchers say it’s akin to driving while legally drunk. That’s because distracted driving impacts and impairs one’s visual perception, in particularly peripheral sight. That text or phone call can wait. It all goes back to science. We take for granted how much brain power driving requires. When we get behind the wheel we are faced with processing a significant amount of visual information, predicting the actions of other drivers and physical maneuvering. And that’s just during normal or optimal conditions. Add bad weather to the mix and we are forced to become even more nimble. So what does this mean for drivers, especially green ones? “Novice drivers turn off the radio, they ask you not to talk to them. They need all the brain participation they can get for the driving,” Marcel Just, a neuroscientist at Carnegie Mellon University, said in an NPR article. 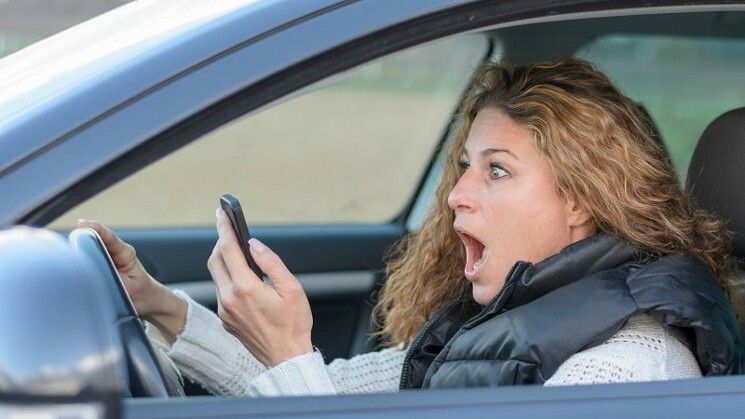 If you are tempted to look at your phone while driving, you can try a few preventative measures. Turn your phone off or put it in airplane mode so that you won’t receive any notifications. Whatever you do, don’t put your life and the lives of other motorists at risk.